The Victorian Suite is a favorite of families with children 8 y/o and up, women on retreat, and couples wishing separate beds. Accessed by the stairs, this suite offers 339 square feet of space in which to relax. 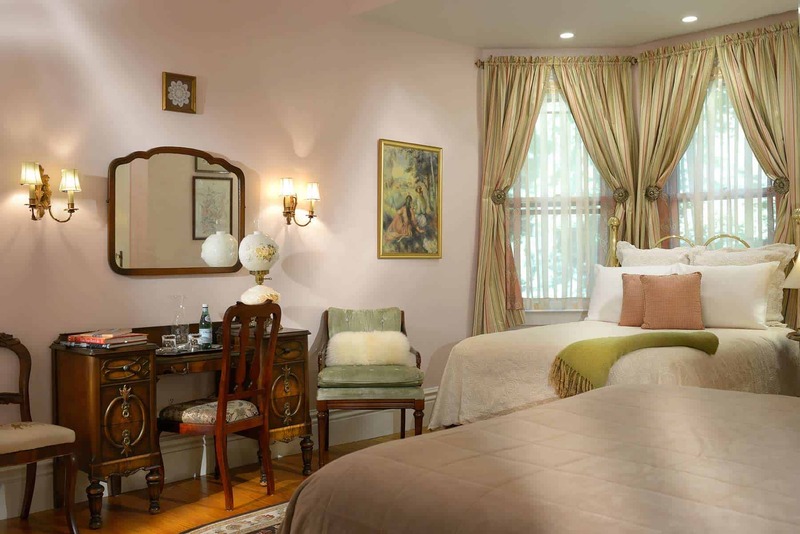 The Victorian Suite was originally designed as a Victorian child’s dream room (for the RPO designer showhouse) by Susanna Kopp, with Design Details. 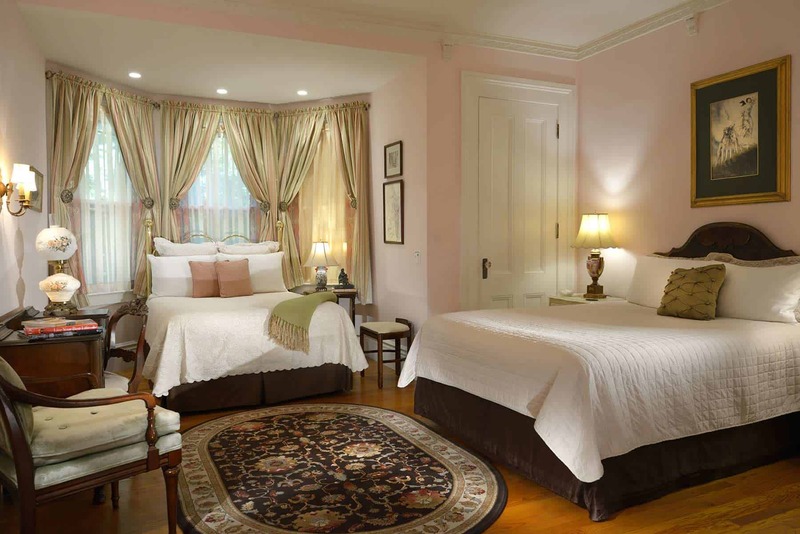 The room is wrapped in soft cream and pastel tones, and is furnished with beautiful antique mahogany furniture, hand-painted muraled bedside tables, and TWO Prana beds: 1 Queen and 1 Double. The highlight of this one-of-a-kind space is the claw foot soaking tub with shower. Price range: $210-$250/night + tax. For additional 3rd and 4th guest, fee of $50/per person/per night applies.